After the success of its first Australian GrassFed Beef promotion in 2015, the Australian Embassy in the Philippines has collaborated with Australian Trade Commission (Austrade), Victoria Government, Meat and Livestock Australia (MLA) gears up its second leg with the inclusion of Cebu and Davao for its second leg promotion. 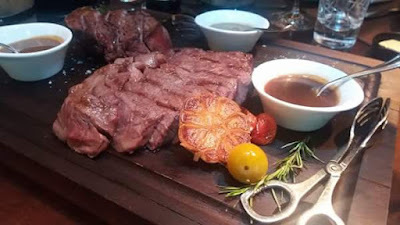 For the next two months, the Philippines will play host to a special dining promotion that showcases Australian grass-fed beef. The Australian promotion will feature curated dishes using the Australian grass-fed beef in top 60 restaurants and hotels. To kick off the campaign, media friends were asked to choose join in from the available 8 culinary trails based on preferences. 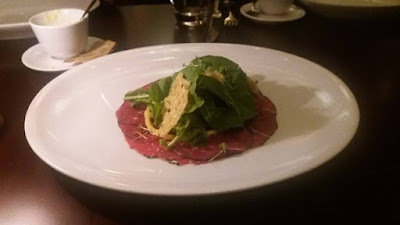 Each day lists a different round-up of restaurants, with each one featuring the premium flavor, lean meat quality and over-all healthy benefits of hormone-free and antibiotic-free certified Australian grass-fed beef. Joining us in the 2nd culinary trail caravan was Meat and Livestock Australia (MLA) Country Manager Peter Paul Perez, and Senior Trade and Investment Commissioner Elodie Journet. They shared how beef quality varies based on the region that the beef originated from and why Australia's climate and environment provides the perfect growing conditions to raise premium beef. 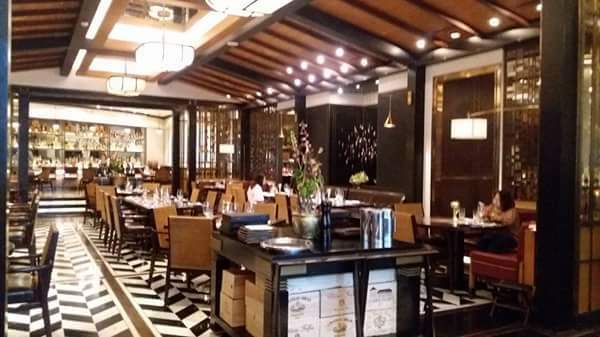 A homegrown Shangri-La concept, Raging Bull is a modern American Steakhouse and Bar referred to as one of the best in Manila. 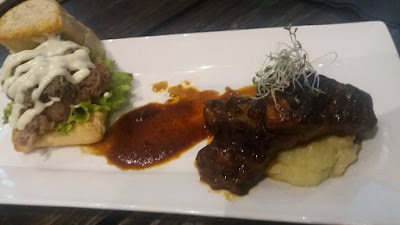 They usually offer premium quality meat, sourced from sustainable farms and I got to taste of Australian grass-fed beef from their a la carte menu. 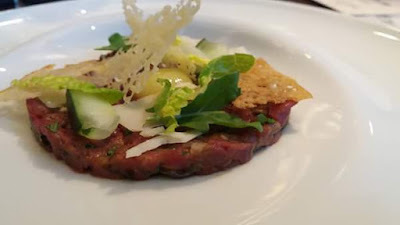 For appetizers, Raging Bull served Cafe Grim Beef Tartare. The raw beef had confit quail egg yolk topped with capers, parmesan amd croutons. Their take on Tartare they have is just amazing, perfectly seasoned and the meat is tender and tasty. 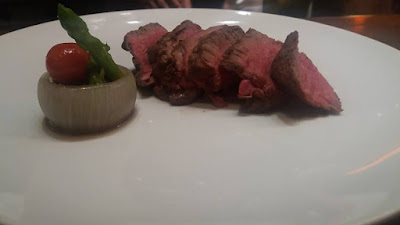 We had Tenderloin (Cafe Grim grassfed Tasmania) and Striploin (Robbins Island 22-day dry-aged Wagyu MS 7+ grassfed, Tasmania) for our main dish, served on a chopping block. Mashed Potatoes, Josper-Roasted Japanese Pumpkin and Cauliflower Gratin were provided to complememt these prime meat cuts. 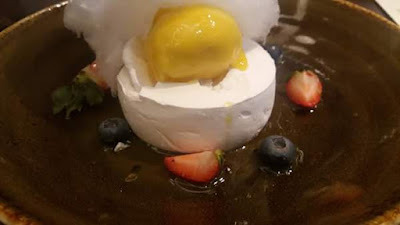 Next came in Candy Gloss Pavlova to cap our meal. The fluffy white cotton candy sits on a white merange. 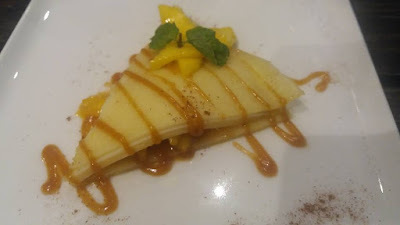 And once you dig into the candy, there sits a hefty scoop of sorbet made from passion fruit pulp and mango sorbet. Every bite was heavenly! 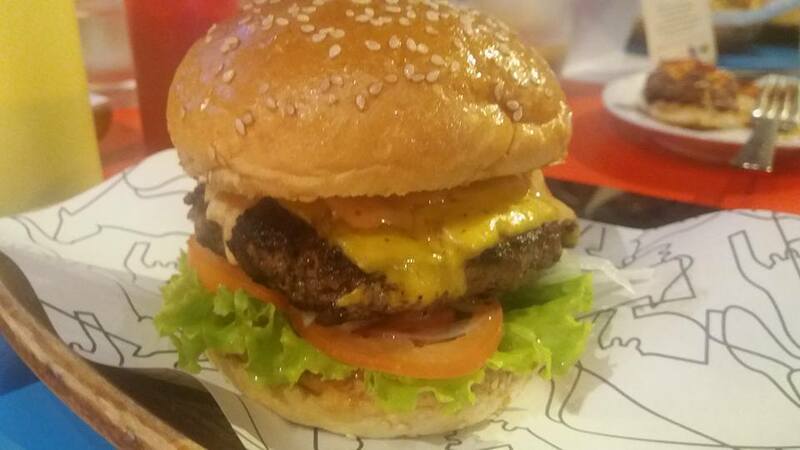 At 8cuts Burger, patrons are given the option to choose a 1/3 or 1/4-pound patty to go with its soft buns. They grind their own meat from various choice cuts and it is makes their patty delish. Last September 2016, they introduced the Australian Grassfed Beef and it had since been a favorite choice among their customers. I tried the 4 cheese burger. The meat blended with a little fat turn out really good. And I like the fried mozzarella cheese on top of the patty which gave it an extra texture. This is one guilty pleasure I will surely splurge on from time to time. Bar Burger was moist and tender. It had crispy fried onion strips on top of the patty instead of fresh onions. Their classic burger has all the works, which I think is one closest to a breakfast burger. The bun holds the patty in place and absorbs the burger juices without being soggy. 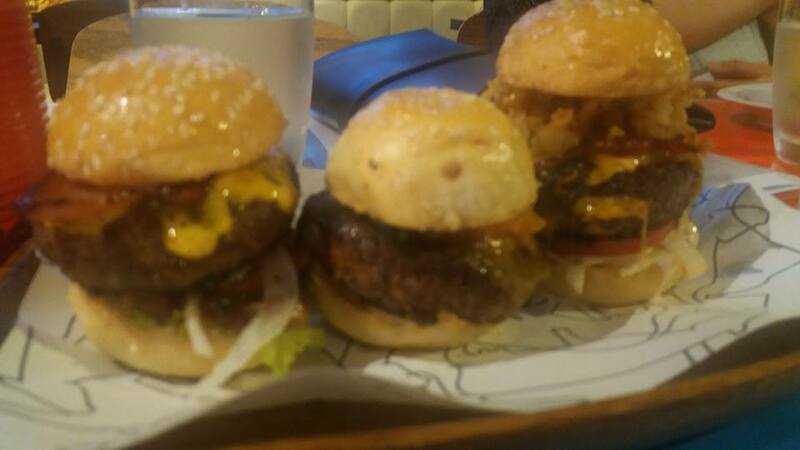 You can tell that a lot of effort has been made for these hamburgers. 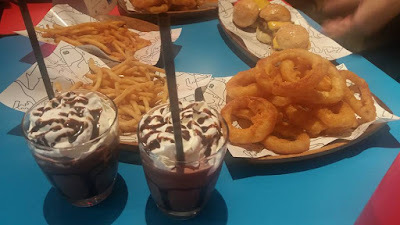 They also served us French fries (regular and barbeque flavors), Onion Rings plus mmilkshakes. I think they had the best fried battered Onion Rings in town. 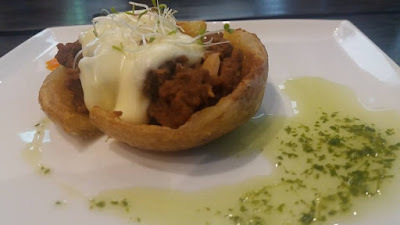 This trendy watering hole served us Chili con Carne on Potato Skin as appetizer. The savory ground beef blends well with the baked potato, which also gives it texture. Next came in Braised Beef in Barbeque Sauce side-by-side a slider for the main dish. The Hamburger was juicy, and packed tight. I so love the natural flavor that Australian Grass-fed meat gives. 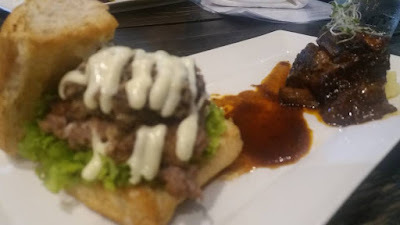 Burger purist like me will love their moist, signature beef patty. Their fresh beef patties just use pepper and sea salt as seasoning. There are no fillers. 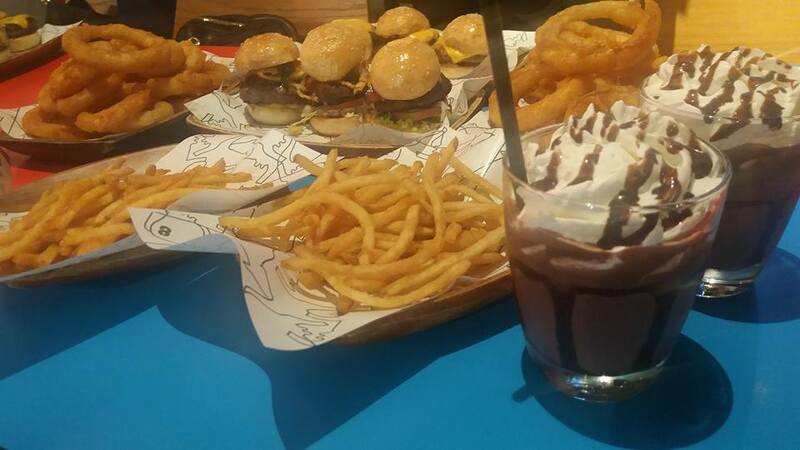 They also offer mojito coffee and a wide assortment of alcoholic drinks. It is a great place to wind down with great food like chicharon crispy pata, one of their best sellers. 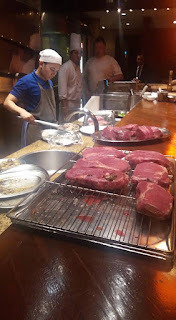 I love The Fireplace, the signature steakhouse of the five-star New World Manila Bay Hotel in Malate. The dim-lit classy grillroom has leather furniture, and a two-level wine library. 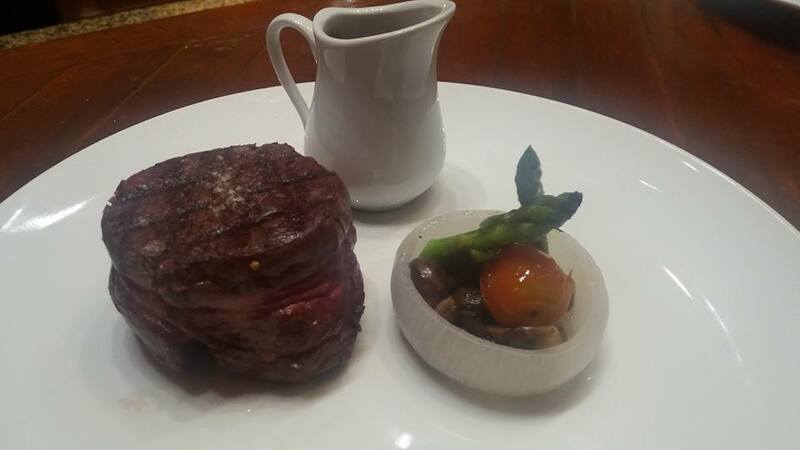 It is an elegant restaurant for intimate dates or family celebrations as it combines a steak menu with a full wine list. They have friendly staff, and great high end gourmet to top it off. 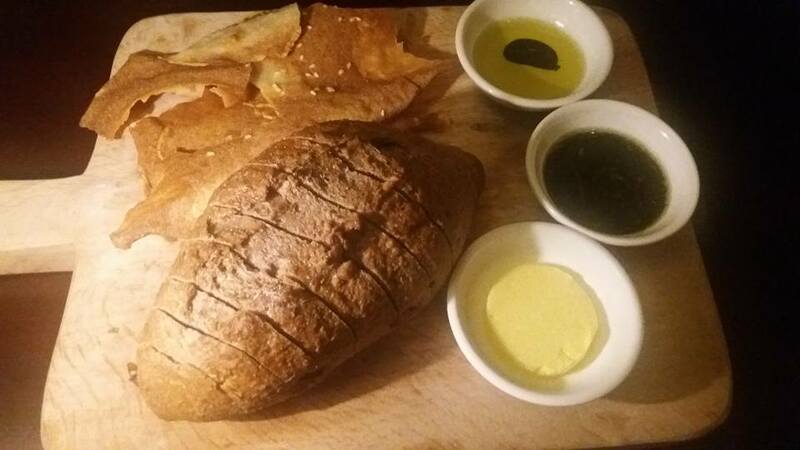 They served us complimentary bread as soon as we were settled. After serving drinks, the soup and appetizer came in. The carpaccio is a good way to enjoy rare beef. The dense beef meat was sliced very thinly. I love the lean, juicy, and flavorful taste of the Australian grassfed meat. Next, came in the flank steaks. 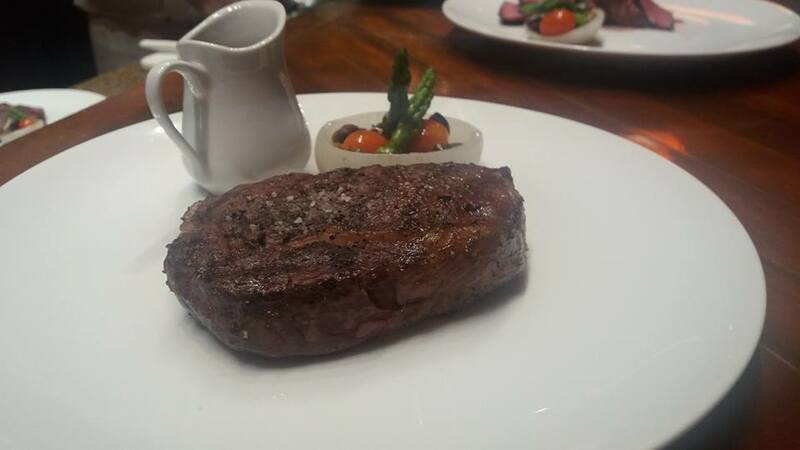 These steaks are certainly enough to satisfy the heartiest of appetites. Seasoned and then grilled over a hot fire, they were cooked up perfectly and are literally fork tender. Australian Grass-fed Beef is a healthy food of the highest order. So make the Australian Grass-fed Beef an important component of your healthy diet. Australian Grassfed Beef promotion is presented by the Australian Trade and Investment Commission (Austrade), the Victorian State Government, and Meat and Livestock Australia (MLA). It runs from June 20 to August 20, 2017. Wow! Thats a lot of beef! Im a steak eater and I would love to try this all. I wonder though, its grass fed does it mean its organic?